Last Saturday, the night before my first Sprint Triathlon, Mike, my good friend Asia, her boyfriend Jeremy, and I signed up for Ironman Couer D’Alene which takes place in Idaho in June 2012. I am possibly even as shocked as you are to read this, as I never thought that I’d sign up for such a task without having tried it for myself first. However, when you know you want to do something, sometimes you just have to commit, even if people may think you are crazy and you are scared! For those of you that don’t know, an Ironman Triathlon is a 2.4 mile swim, a 112 mile bike ride, and a 26.2 (full marathon) run. The Ironman starts at 7 a.m. and all racers must complete the swim by within 2 hours and 20 minutes and must be finished with the bike by 5 p.m. If a racer does not make these cut offs, they are not allowed to finish the race. The entire 140.6 miles must be covered by midnight. Although the majority of athletes are finished well before midnight, there are some that finish with just minutes or even seconds to spare. About 10% of entrants do not finish an Ironman event. It was just a little over two years ago that I found out what an Ironman Triathlon was. And to be honest, I was quite taken aback. I was shocked that human beings would put their bodies through that much pain. At the time, I had only run one half marathon, which I thought waas my last. I hadn’t enjoyed training mostly alone on a treadmill for the race and I much prefered my turbo kickboxing and body sculpting classes over logging time running. After I returned from my 4 month backpacking trip to Southeast Asia at the end of 2009, I took my fitness to a new level and began to work out 5-6 days a week instead of 3-4. That was when I met Mike, my current boyfriend, who had just competed in the 2009 Ironman Cozumel. I was very impressed by Mike’s determination and level of fitness but was even more shocked when he told me that he had a good female friend that trained and competed with him. To be honest, the thought of a woman competing had never crossed my mind! I was the first of most of my friends to even run a half marathon, let alone something like a triathlon. Mike and I spent our first year or so together training and working out separately. I trained for the AFC half marathon in August 2010 with my friend Asia and with a running group for the Carlsbad half marathon in January 2011. Mike ran these events as well but trained haphazardly on his own (he has years of athletic background and some natural gift that allows him to barely train for a half marathon and run it under 1:40). However it wasn’t until Asia introduced us to P90X that we took our fitness to the next level and that we really trained together. In January of 2011 we started our first round of P90X and a few weeks later started training for our first marathon (Mike’s first marathon without a 2.4 mile swim and 112 mile bike before it). As my body transformed and my fitness increased, I set my sight on more and more goals. I also started reading books by Dean Karnazes, an ultramarathoner that has run races of up to 226 miles. It started to seem like a marathon was child’s play. Running 18 miles on the weekend wasn’t difficult any more – it was actually fun! My mind started working in overdrive. One morning after a particularly enjoyable 14 mile run on the scenic coast of Del Mar, Mike and I went to breakfast together. We were thoroughly enjoying a fabulous runner’s high, excitedly discussing our fitness goals, when he brought up the fact that his new running partner Jeremy (my good friend Asia’s boyfriend) had expressed his desire to do an Ironman. I already knew that Mike wanted to do another Ironman at some point as well. Mike followed by saying that he knew that if Jeremy did an Ironman, Asia would want to too. And if Asia, Jeremy, and Mike did an Ironman, he betted that I would want to too. And that’s where the Ironman seed was planted. Our Scenery For 140.6 Miles! That little spark turned into a wildfire, and soon I began thinking more and more about the possibility of an Ironman. Soon afterward, I signed up for the Solana Beach triathlon which would take place in July, knowing that I only had 6 weeks to train for it after the marathon that we would run on June 5. I also set my sights on an Olympic distance triathlon in September that would give me a better idea of whether or not I wanted to go the full distance. Asia and I began to talk about our Ironman goals and eventually the discussion became full-blown planning between Asia, Jeremy, Mike and I. We had originally decided that we’d do a half Ironman in July of 2012 and then go to Couer D’Alene the following June. We chose this course because it was fairly close to home (a short flight) and it is very scenic. Apparently it is regarded as the third best Ironman course by many (Kona and Lake Placid are first and second). However, after Asia took a private swim lesson with her swim coach and he told her that she could be Ironman ready in as little as 6 months, the wheels started turning that perhaps 2 years is a little too long to wait to achieve our goals. Two years is a VERY long time. Two years ago I was traveling through Vietnam, a single, jobless vagabond seeking out adventure. Here I am today, in a committed live-in relationship with a stable job, running races nearly every month. In two years everything could change. Mike at one point told me over dinner that we have the momentum now and that sometimes you have to just run with it. The idea sparked into a discussion and after speaking with Ironman competitions themselves and thorough research, we determined that it was possible for four very fit people with a marathon running background and very little cycling background (well except for Mike of course) to train for an Ironman in about a year. It wouldn’t be easy, but it could be done. Training for an Ironman is never easy. So, on Saturday July 23, the four of us eagerly met at Asia and Jeremy’s house and sat around our computers (I used my IPhone!) 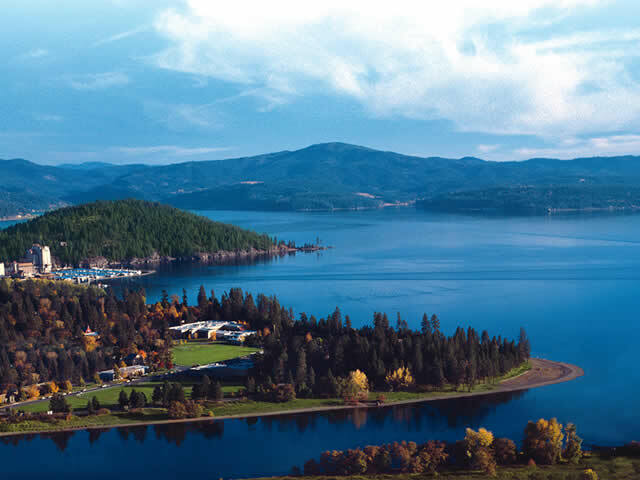 and signed up for waht will be the most challenging race of our lives, Ironman Couer D’Alene, 2012 (CDA for short). Next we signed up for the Ironman California 70.3, a half Ironman in Oceanside that takes place on March 31, 2012. Last, we signed up for the TriRock Olympic Triathlon, which takes place September 11, 2011. My credit card got shut off before I could even register for the last race. The total damage – $1,200. So The Real Question is – WHY? I love a challenge. This is the ultimate challenge and I’m ready to conquer it! I genuinely enjoy endurance training. I honestly like waking up early on a Saturday morning and spending hours outdoors (even better that I get to spend it with friends). I love to run but I also get bored easily. Triathlons appeal to me because I can spend time on three sports, not just one. I like to do things that shock people. Quit my job and backpack through SE Asia? Do an Ironman? Same thing right? Are these motivators enough to get me to the finish line in one piece? I hope so! Luckily I have a great support system to train with as well as unlimited training resources thanks to the TriClub. Last year, before an Ironman even crossed my mind, Mike showed me this comical YouTube video which pokes fun at Ironman contestants. At the end of the day, we all just want to be Ironman …it doesn’t make sense, but we do! « My First Sprint Triathlon! Awesome!!! Do you have a blog as well? I would love to see how you are training too. I have a feeling that by the time we get there, we’ll have several blog friends to support one another!